Why happiness? Sissela Bok answers the sceptics who argue that this line of inquiry is a luxury at a time when there is so much suffering in the world. Exploring Happiness: From Aristotle to Brain Science transcends all ages and civilizations through an eloquent and erudite interpretation of writings from antiquity to the present day by eminent philosophers alongside those of ordinary people, in a stimulating essay about this enduring quest of humankind. A comprehensive survey of the nature of happiness, with its vast scope and perspectives, poses serious challenges in reconciling such a wide array of views and interpretations. Sissela Bok brings an interdisciplinary and cross-cultural approach to clarify the frequently conflicting ideas that have been expressed on this subject, exploring the relevance of each school of thought while comparing them with one another. By looking at the topic from every viewpoint, Exploring Happiness leads the reader to the conclusion that, however contradictory they may seem, all of these ideas are revealing and mutually informative and that happiness in one's own life can be achieved through a better understanding of each approach to the subject. That such a grand concept can also stand the test of contemporary science and its empirical observations, Bok cautions that there are many qualitative considerations that also enter into the study of happiness. The correlation between a subjective emotional state and objective empirical measurements is most often misunderstood precisely because an examination by one discipline may, by definition, exclude consideration of the other. Whether they relate to the inner senses or to external manifestations of well-being, all perspectives of happiness must be considered for reaching any meaningful conclusions about the role that happiness plays in human lives. Yet at the point where these differing approaches intersect, there are overriding moral implications to be considered when exploring the meaning of happiness. To the extent that the pursuit of happiness may depend upon human society and our relationships with other people, Exploring Happiness reminds the reader that there are limits to this quest that are defined by perennial moral issues for how we lead our lives and for how we treat one another. 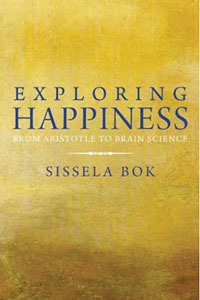 Sissela Bok looks to future inquiries into the meaning of happiness, from the humanities to neuroscience, by viewing each endeavor in the context of the whole. Sissela Myrdal Bok is Senior Visiting Fellow at the Harvard Center for Population and Development Studies and a Fellow of the American Academy of Political and Social Science. A former member of the Pulitzer Prize Board, she serves on the editorial board of the Bulletin of the World Health Organization, and on the boards of Common Knowledge, and Ethical Theory and Moral Practice. 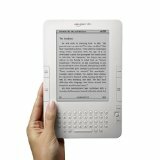 During her distinguished academic career she has published a series of books based upon the ideals of universal human values. Sissela Bok received the George Orwell Award and the Melcher Book Award for Lying : Moral Choice in Public and Private Life. Widely respected as a modern philosopher, Sissela originally read psychology at university, in deference to the wishes of her mother Nobel Peace Laureate Alva Myrdal. Being the daughter of two Nobel Prize winners, with her father Gunnar Myrdal awarded the Nobel prize for economics, Sissela Myrdal Bok offers a rich intellectual perspective in her own work.